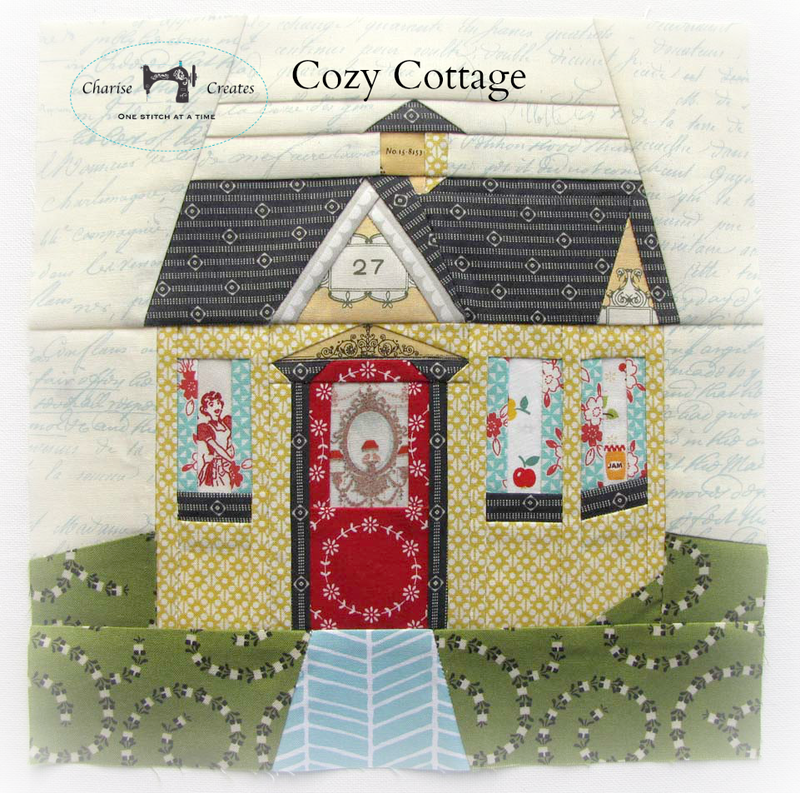 Over two years ago my first paper piecing pattern was published in Fat Quarterly - Cozy Cottage. I have made it available for purchase in my Etsy and Craftsy shops. I really do love the pattern. It was fun to find cute images for the windows. This is the "Sewing House" with the sewing themed items in the window. The sewing themed brown roof and yellow details are from Suzuko Koseki - one of my favorite fabric designers. 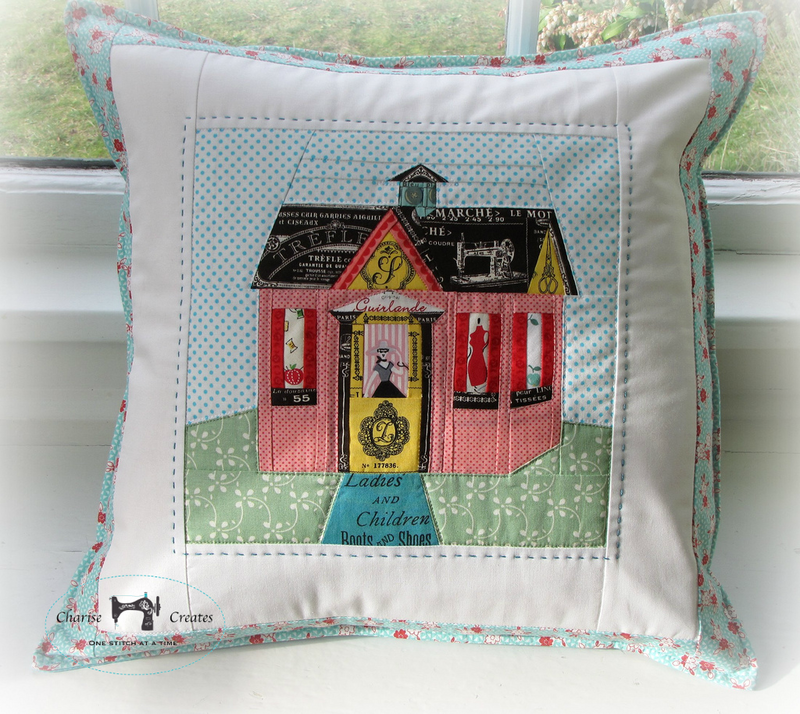 This is one of my favorite pillows made with the "Sewing House". What a great idea for a quilt top! My dream was to have a doll house - I have the furniture and no place to put it. The quilt could take up less room, keep us toasty warm and perhaps spur my imagination a little. 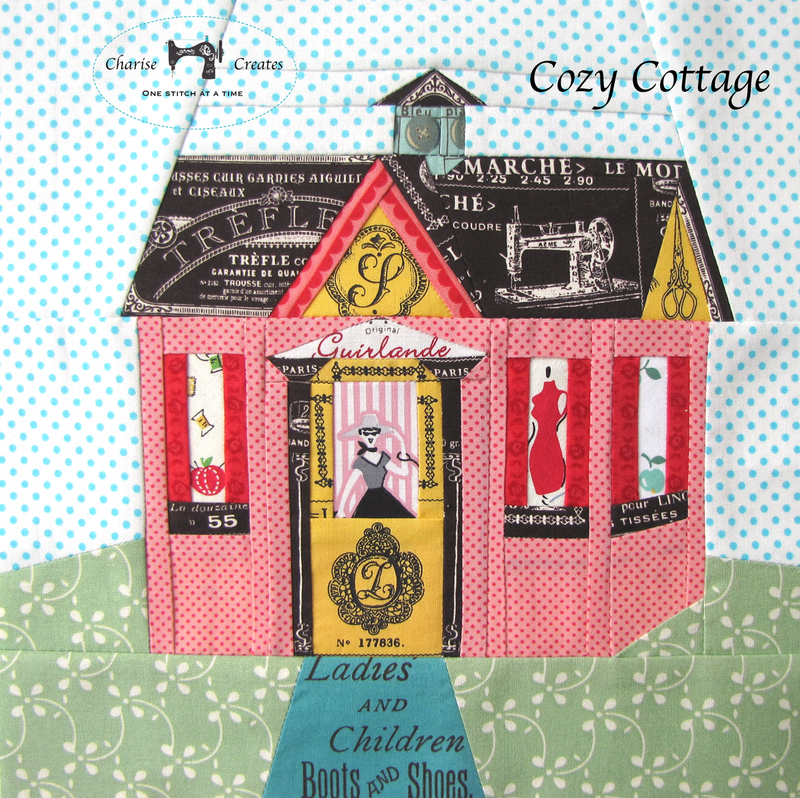 I think this particular house is adorable and like the idea of different shops etc. Go for it! I bet you will love it. I love your house pattern! The details are adorable. I have ordered fabric thinking I was getting "little people" to put in some plain houses but find myself disappointed when the figures are too large. Your house is so much more detailed than the pattern I have. I will definitely have to put this on my list to buy. The village sounds awesome. If you have some small dog prints you could do a Grooming Salon! Would you make them into a tablerunner, individual pillows, a quilt or ?? ?